wow, picture taken in the right moment. Interesting shot! 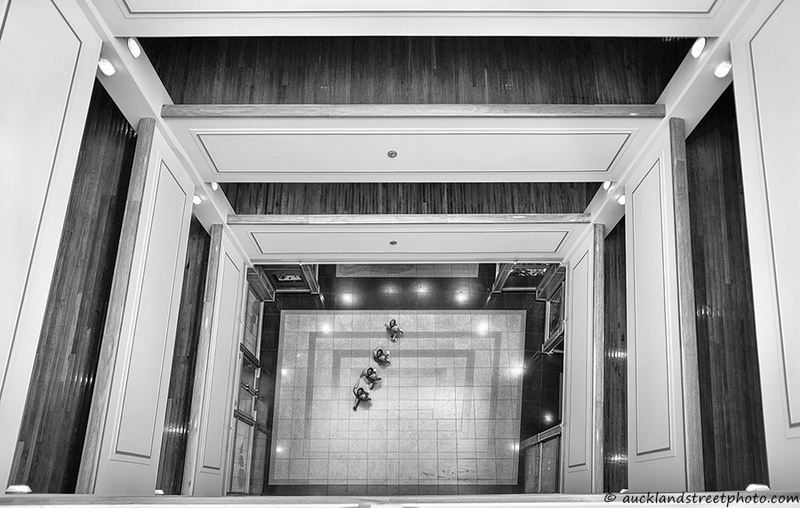 I like the perspective, and how you captured the people walking across the floor in such a straight line!